Our top model for professionals has arrived and with a massive 92 cc’s of grunt and triple exhausts there’s no question the SX92 it means business. 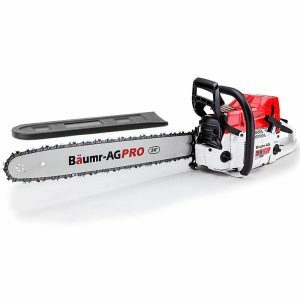 It has all the credentials to be the class leader for felling and commercial applications. 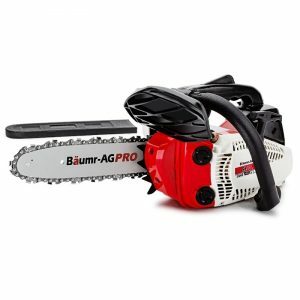 The SX92 features Baumr-AG's patented air injection carburetor and intake system to deliver optimal grunt to take on demanding challenges of the hardest of wood in extreme conditions. 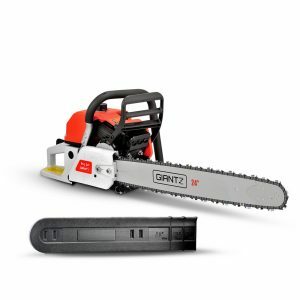 Whether you're preparing tons of firewood, lopping large trees, clearing overhanging branches or removing bushfire hazards, features like a balanced design, effortless Easy-Start System, quick tension chain mechanism and integrated chain brake, make using this powerhouse a dream. 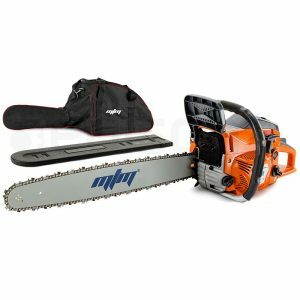 And, for a limited time the SX92 comes with a bonus safety pack with everything you need to get sawing including goggles, earmuffs, gloves, mini tool kit and fuel mixer. So what are you waiting for? 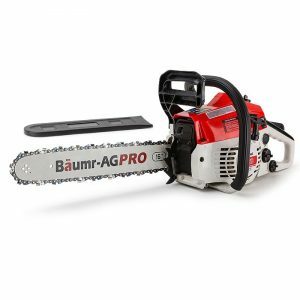 Get your hands on the new all-conquering, all-powerful Baumr-AG Pro 24" SX92 today!